Play is distributed through a tool called Typesafe Activator. Typesafe Activator provides the build tool (sbt) that Play is built on, and also provides many templates and tutorials to help get you started with writing new applications. 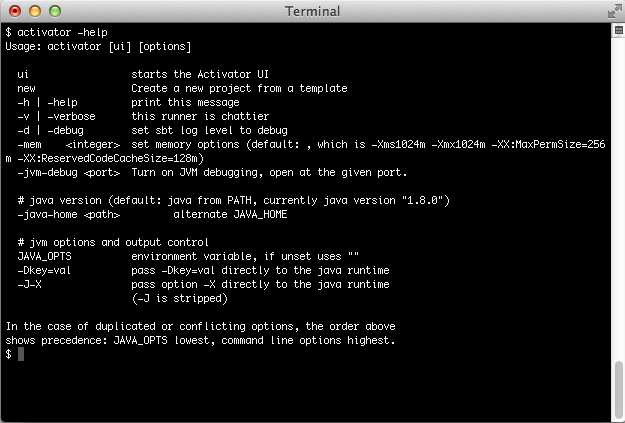 If you’re on UNIX, make sure that the activator script is executable. From a shell, launch the activator -help command. You are now ready to create a new Play application.